Legal professionals decide to pursue an LLM from abroad for a variety of reasons and in different phases of their careers. One will find fresh law graduates, partners or associates of law firms, judges, corporate counsels and academicians pursuing an LLM. The decision of doing an LLM is largely a personal one. But since in most areas of legal practice there is now an international dimension, there is a strong argument in favour of a Masters degree in law.There was a time when candidates pursued an LLM only to establish themselves in the field of teaching. All that has changed today and now there are several factors which favour a LLM. For those who of you interested in teaching law, or pursuing research, or working on policy issues, an advanced degree is not only useful, but imperative. Consequently the need for LLM, M Phil, PhD etc. A masters program helps in getting a grip over an area that is too complex to be mastered in a first-degree course. In particular, specialized areas like Tax, Corporate Finance, Intellectual Property, Competition often require extra-grounding. Professionals who are looking to change the focus of their career should opt for an LLM. A litigating lawyer who wants to switch to transactional work, would find a specialisation in the relevant areas of corporate law extremely useful. A quality higher education enables you to reach out to better employment opportunities. Specifically, an LLM from abroad will give you a chance to change the focus of your career. By choosing a particular program, you can specialize in a whole new area of law. Moreover, an LLM from abroad can pave the way for changing employers as well. The networking prospects which a foreign LLM degree offers through the strong network of international alumni associations, is a useful way of connecting with prospective employers. With the advent of globalisation, lawyers cannot afford to restrict their perspective to just one legal system. An LLM from abroad offers the chance to learn the law and practices prevalent in other jurisdictions. Usually, the top universities or colleges of countries like USA and UK boast of experts and eminent thinkers as faculty members or guest lecturers. In addition, high quality infrastructure, extensive legal databases and impeccable reputations offered by these institutions act as a lure for most Indian aspirants. Even the quality of classroom interaction is considerably high. On the other hand, it is widely felt that an LLM from an Indian university or law school is handicapped by lack of a structured curriculum, especially for the new and emerging areas of law. Although it would not be fair to make a generalisation, LLMs offered by the majority of Indian law schools or universities are not at par with the LLM programs offered by top Universities of US and UK. In particular, if you are looking at enhancing your knowledge base in specialized areas like Corporate Finance, Intellectual Property, Banking, Internet and Technology, to name a few, pursuing an LLM from abroad is considered worthwhile. On the bright side, some private law schools in India like the Jindal Global Law School are now offering specialized LL.M. programs in Corporate & Financial Laws, International Trade etc. Bear in mind that the world of LL.M. programs is staggering with more and more law schools in an increasing number of countries offering the degree. The process of deciding where to study is tricky and critical. Make a careful selection of the University/Law School from where you plan to obtain the LLM degree. The Masters degrees offered by some of the top universities of US, which are a part of the ‘Ivy League’, is considered priceless since these institutions stand for academic excellence, selectivity in admissions, and social elitisim. The same applies to ‘Oxbridge’, a term used to refer Cambridge University and Oxford University of UK collectively, often with implications of perceived superior intellectual or social status. More recently, the London School of Economics & Political Science (LSE) has piped Oxbridge to become UK’s top-ranked higher education research centre. Quite obviously, an LLM from an Ivy League University or Ox-bridge/LSE will increase your marketability more than a similar degree from a foreign University of lesser repute and standing. The tough academic standards and the brand value of these Universities add weight to the LLM degree. Having said that, weightage is also given to the specific area of specialisation. For instance, University College London (UCL), not as highly ranked as Ox-bridge or LSE, is known to have the best Faculty and reputation in the areas of International Trade Law, WTO etc. Similarly, if you want to study Intellectual Property laws from USA, then a degree from non-Ivy League yet top ranking IP universities in the US like George Washington University (GWU) is useful. Besides the traditional LLMs, there are now a multitude of newer programs worth considering such as LLM in Finance from Institute for Law and Finance Frankfurt (Germany); Masters in Law and Finance from Oxford University; LLM in Banking and Finance Law from Boston University School of Law, to name a few. Indian legal landscape has undergone a dramatic change in last twenty years, with transnational legal issues becoming all-pervasive. Today’s lawyers represent clients both domestically and internationally in a variety of trans-border transactions. In this backdrop an exposure abroad is valued by Indian law firms. More importantly, an overseas academic stint gives you the chance to experience cultural and linguistic diversity. The post-graduate programs abroad attract a culturally, ethnically and linguistically diverse body of students from across the globe. By sharing common facilities and benefits (both formally through the college/Faculty and informally through various students’ associations) you can be assured of an unparalleled college life experience. Infact, many of the benefits of pursuing a foreign LLM can be intangible. For some it is an intellectual exercise, while for others the appeal lies in the prospect of interacting with eminent faculty members, or building a lifelong network. But perhaps the single most appealing factor in favour of a foreign LLM is that it imparts an international dimension to one’s outlook and thinking, which in turn paves the way for personal as well as professional growth. Is pursuing an LLM the right thing to do? Where should I study it –in India or abroad? Will it be necessary for me to work during the LLM? To be able to answer the above questions you must have accurate information about the costs and the benefits of the LLM program in question. Do your homework early on as different programmes charge different tuition fees. While some students may qualify for aid grants, others will not. Similarly, the cost of living will vary according to where you will be based and how you will live. 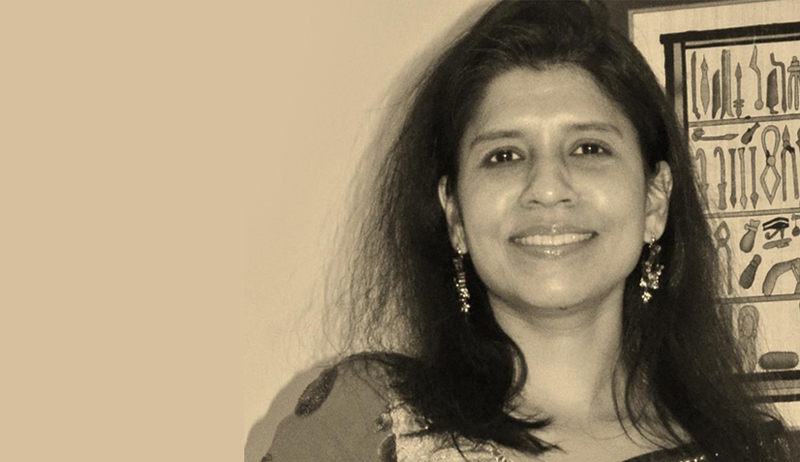 Richa Kachhwaha is Managing Editor at Live Law and you can follow her on Twitter. Read the Part II, III and IV of the series here.